More must be done to help riders who feel unable to be open about their sexual orientation, the Professional Jockeys Association has claimed in response to a groundbreaking study. Presenting the study to Tuesday's Horseracing Industry Conference racing professional David Letts revealed that findings from his University of Liverpool MBA research indicate the number of non-heterosexual jockeys in Britain is broadly in line with that of the national population, most recently recorded at six per cent. That contrasts with the fact only one active jockey has ever publicly come out as gay, after which he claimed to lose rides from some trainers and owners.
.@LivUni Thoroughbred Horseracing Industries MBA Student @blipletts has conducted a study into the prevalence & attitudes of LGBT groups within British racing. 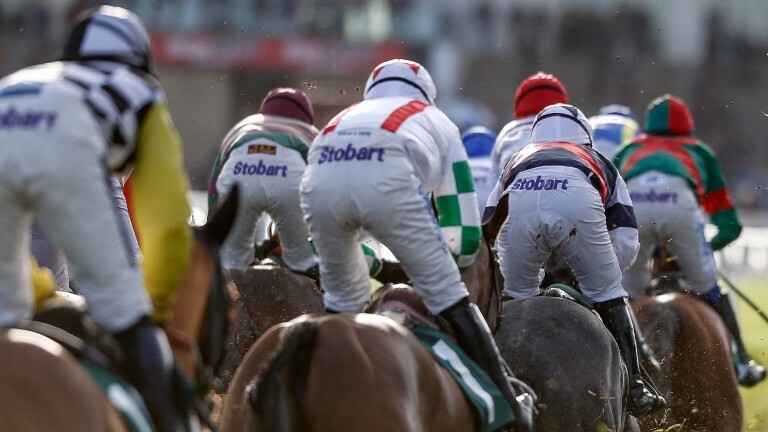 Based on surveys and interviews carried out with jockeys, Letts found they are more likely to remain closeted than members of the wider racing population and cited as the main reasons the fear of losing riding opportunities and anticipated response of colleagues. More encouragingly, the majority of those sampled do not hold homophobic views, with 92 per cent of the racing survey and 78 per cent of jockeys responding on the positive side of neutral when asked how comfortable they would feel if a colleague 'came out' as gay, lesbian or bisexual. However, of the male jockeys sampled, five per cent reported using homophobic language as abuse and 50 per cent reported using it as humour. On top of practical recommendations that include poster campaigns, Letts suggests the extension of research to better understand the reasons behind the witnessed trends, including an examination of the culture of British racing and its potential impact on diversity. PJA chief executive Paul Struthers said: "We were keen to support David’s work and were delighted with the response of our members to the research. "The mental health and wellbeing of our members is of paramount importance to the PJA, and while there were some significant positives within David’s work it is clear there is much more to be done. "We commend and thank David for this important work and look forward to working with him and the BHA to implement his recommendations." BHA head of diversity and inclusion Rose Grissell said it was "disappointing" some individuals had felt unable to be open about their sexuality with colleagues, and "simply unacceptable" a jockey believed he had lost rides due to being openly gay. Grissell added: "The Diversity in Racing Steering Group entirely supports David’s core proposal that a campaign be launched to increase awareness of the issues surrounding the use of homophobic language and attitudes. "The findings of the report show clearly why this project was so important. It provides the industry with evidence to start the conversation to ensure all sexualities are accepted with the same respect as other diversity characteristics." Letts said: "That the research gained such attention and participation throughout the industry demonstrates the sport is ready to have this conversation. The findings presented open a dialogue for further discussions relating to the involvement of sexual minority groups within British horseracing. "It is of the utmost importance diversity in all its forms is given due attention in order to ensure the continued growth and development of the sport we love."